Seven decades of unintended exposure to the elements were taking an ever-increasing toll on the structure. Exposed western face of St. Mark's Cathedral. A new stone-veneer over-cladding now protects the cathedral’s severely exposed west façade. 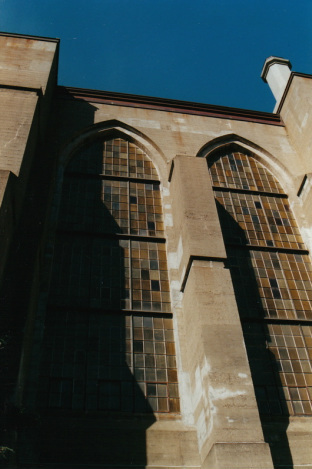 Project Summary:	Construction of this cathedral was brought to a sudden halt in 1929 by the onset of the great depression. As a result, only the structure’s central portion was completed, and the intended exterior stone cladding was never installed. This left the building’s cast-in-place concrete structure exposed to the elements for nearly seven decades, leading to progressively worsening corrosion of its reinforcing. This began to manifest by corrosive spalling of the concrete, which numerous corrective attempts failed to stop. Two different evaluations by other consultants provided a variety of corrective recommendations for the problem. PL:BECS Services:	PL:BECS was retained to independently, but very briefly, examine the building and provide an evaluation of the previous consultants’ reports, as a sort of second opinion or peer review. Though the resulting PL:BECS report concurred with many aspects of the previous studies’ conclusions, its recommendations were both more focused and more specific. For example, PL:BECS cautioned against several of the approaches listed in the other reports, and brought forth the inherent limitations of those options. The PL:BECS report also described in detail the preparatory methods needed to assure proper performance of the recommended general approaches. In contrast to the other consultants’ reports, PL:BECS recommended a masonry over-cladding as the only appropriate long-term solution for a building of this construction, age, and stature. 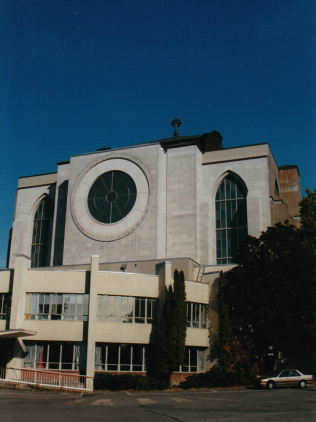 Such an over-cladding was carried out on the west façade, though for architectural reasons not with the stone materials listed as technically ideal by PL:BECS. The PL:BECS report also diverged very substantially from the other consultants’ projected cost estimates for the masonry over-cladding. Upon completion of the west façade, PL:BECS rough cost guidance, which was nearly seven-times higher than the other consultants’, proved accurate within pennies per square foot.